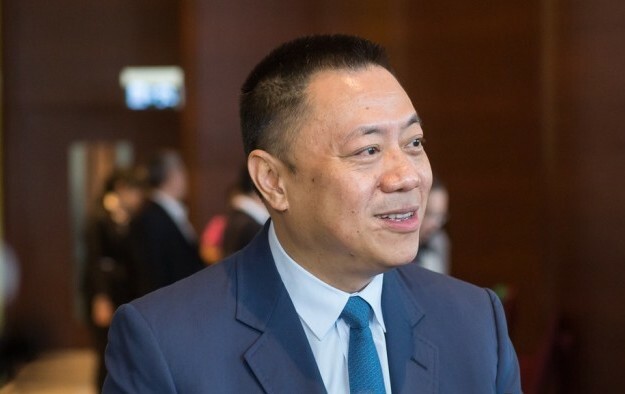 The Macau government is still “analysing” the topic of possible refreshment of rights for the city’s current six gaming licensees, said Lionel Leong Vai Tac (pictured in a file photo), Macau’s Secretary for Economy and Finance, in comments to local media on Tuesday. Those six gaming concessions expire on various dates in either 2020 or 2022. First to end – in March 2020 – are the respective current licences of SJM Holdings Ltd and its sub-concession, MGM China Holdings Ltd.
Ambrose So Shu Fai, chief executive of SJM Holdings, mentioned last year that the firm’s intention was to seek a two-year extension for its Macau gaming rights, so that it could compete “at the same pace” as four other gaming operators in the city. Mr Leong was speaking to media on the sidelines of an event to launch a vocational skills contest. It is being organised by the city’s traditionalist labour grouping, the Macau Federation of Trade Unions. Staff from all six Macau casino licensees are to take part in the contest. 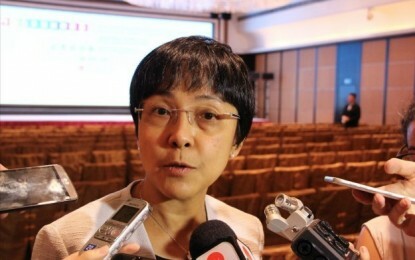 Secretary Leong also confirmed on Tuesday that his department had already received what he termed “technical opinions” submitted by the city’s casino regulator, the Gaming Inspection and Coordination Bureau, on the possible refreshment of gaming rights for Macau’s current operators. “After receiving the technical opinions expressed by the Gaming Inspection and Coordination Bureau, we are now analysing them. We’ll duly inform the public once we have reached some conclusions regarding this analysis,” Mr Leong said. “As I have said before, the considerations [on refreshment of gaming rights] are based on how the gaming industry can help Macau to become a ‘world centre of tourism and leisure’, and how the [local] industry can remain competitive regionally and internationally,” the Secretary added. Mr Leong also made brief remarks on the likely gaming revenue trend for the city this year. Several investment analysts have recently forecast that Macau’s gross gaming revenue from its casinos is likely to shrink - at least in the first half of this year. “…we hope that the gaming revenue trend will be stable for 2019 – and if eventually it shows slight improvement compared to 2018, it can be considered as quite a good performance already,” Mr Leong remarked to the media. In delivering Macau’s 2019 budget plan in November last year, Mr Leong had told the city’s Legislative Assembly that the government estimated the city’s gross gaming revenue would amount to MOP260 billion (US$32.2 billion) for 2019. The administration also expected to see gaming tax revenue total MOP91 billion for the year. The local authorities are usually conservative in their annual forecasts on such numbers, typically underestimating the eventual tallies by a wide margin. Macau’s accumulated casino GGR for full-year 2018 stood at nearly MOP302.85 billion, a 14-percent increase compared to the tally of 2017, according to data published by the gaming bureau on January 1. It marked the second straight year of GGR growth, following an increase of 19.1 percent in full-year 2017. Before that, the Macau market had experienced three consecutive years of annual decline. “Uncertainties do exist, for instance, as seen in the frictions in trade relations between China and the United States., or the rate hikes imposed by the U.S. Federal Reserve. So it is not that easy to assess whether a negative change [in gaming revenue] will happen,” Mr Leong said in his Tuesday remarks. “But I will stress, as I also said before, that the competitiveness of the gaming industry here is not only [about gaming] itself, but also the increase in non-gaming elements..,” the official added. “And unlike the other regional competitors, our difference is that we can provide consumers quite a range of options in non-gaming offers. This helsp boost their spending on the various offerings here,” said Mr Leong.